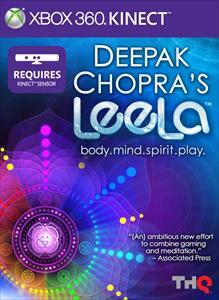 Welcome to the Deepak Chopra’s Leela™ game demo. Leela is a groundbreaking journey that helps brings focus, energy and balance to everyday life. Explore seven movements to engage the seven chakras -- or energy centers -- to unwind and develop a “flow state.” With Kinect, users can actually see and measure their breathing to enhance their meditation. Create personal “mandalas” – artwork that expresses a person’s essence -- and use them as meditation maps or share with friends on Facebook.